Hello Dear Buyers, I will provide one hundred organic channel Subscribers for your account promotion. ✔very cheap and lower prices to my service. ✔ high quality subscriber and instant start. ✔You will get some extra also. ✔Very fast service and quick response. ✔ Fully Cooperation if any issue. ✔I response your Order in time. Please Note: If you have any questions, just send me a message. 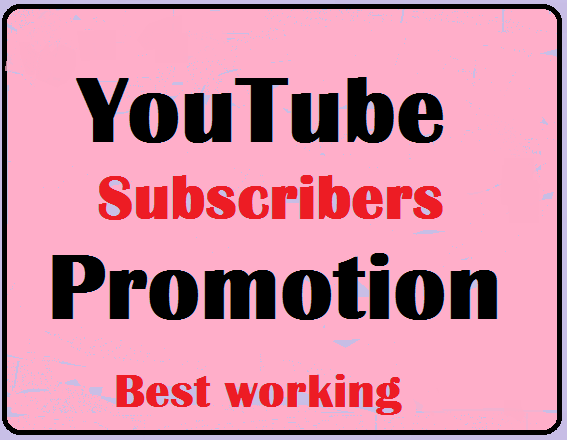 YouTube Account Promotion From World Wide Users is ranked 5 out of 5. Based on 361 user reviews.